Rhino Hunt is a brand new GTA Online Adversary Mode for new-gen. This is a battle of the nimble and numerous against the mighty but few as a team of Sticky Bomb-wielding Hunters in dune buggies and other vehicles seek to take down one or two of the biggest and most elusive game in Southern San Andreas. Rhino drivers must utilize the sheer strength and firepower of their tank to survive against the onslaught of Sticky Bombs thrown in their direction. 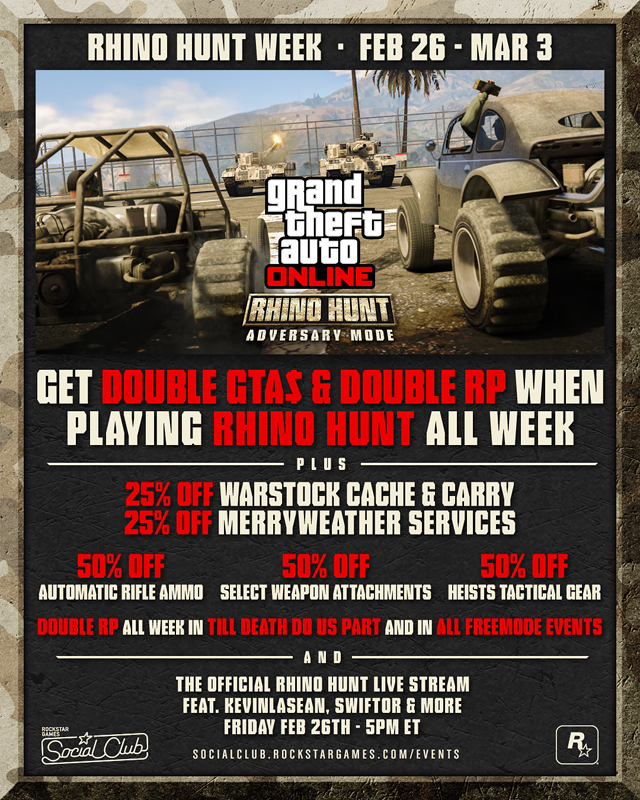 From today through Thursday March 3rd, earn double GTA$ and RP when you square off in the new Rhino Hunt Adversary Mode. You can jump straight into the explosive action of Rhino Hunt in the current Event Playlist, accessible at the push of a button from the GTAV launch screen - or hop straight into any Rhino Hunt skirmishes outside the official Event Playlist to get 2 times the GTA$ and RP. When you decide to give your Sticky Bomb tossing arm a respite from blowing up Rhinos, you can also score some double RP for quick rank up in both the recently released Till Death Do Us Part Adversary Mode as well as in all Freemode Events all week. 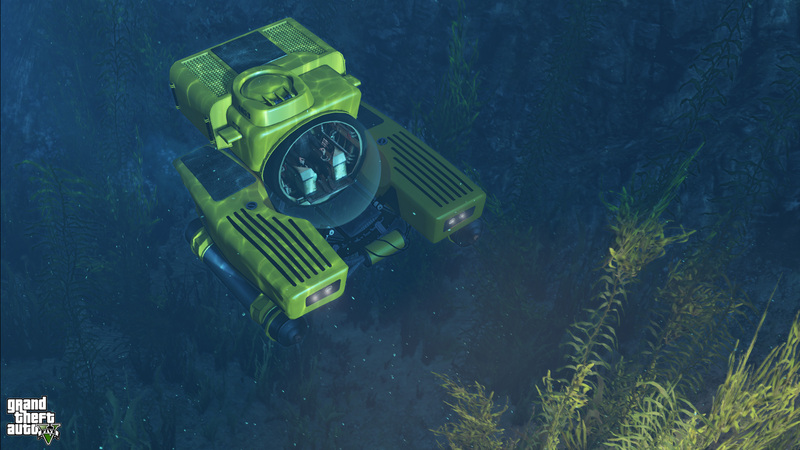 Have fun and chat up the forums! New Rhino Hunt Adversary Mode - Another small addition to new-gen GTA Online: Rhino Hunt Adversary Mode.